Where has summer gone? In June I taught summer school. I taught Fountas and Pinnel Leveled Literacy Intervention all day. I love that program, but there isn't much to blog about! I have a list of projects I want to finish, around the house and for school. I only have three weeks left. I crossed a few things off of my list last night. I finally made a banner for my web page. What do you think? I thought I had grey cheveron for the background, but now I can't find it. 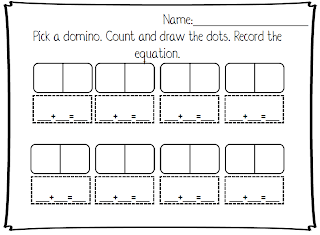 I also finished my domino centers. I started these last month but edited them several times to get them just right. I LOVE them because you can use them all year. They are also differentiated for all learners. 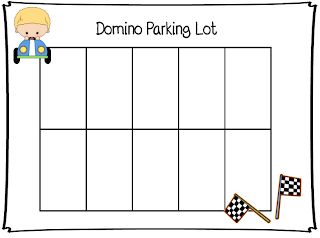 There are two different Domino Parking Lots. A blank like you see above and one with numbers 1-10. 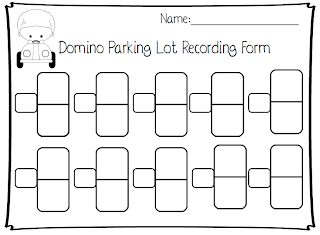 I have also included a recording sheet to. 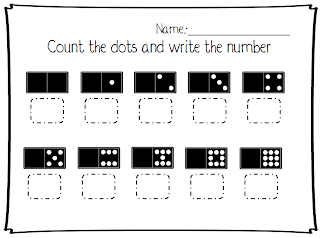 When kids record the dots and the numbers, and it helps them to visualize different ways to make a number. 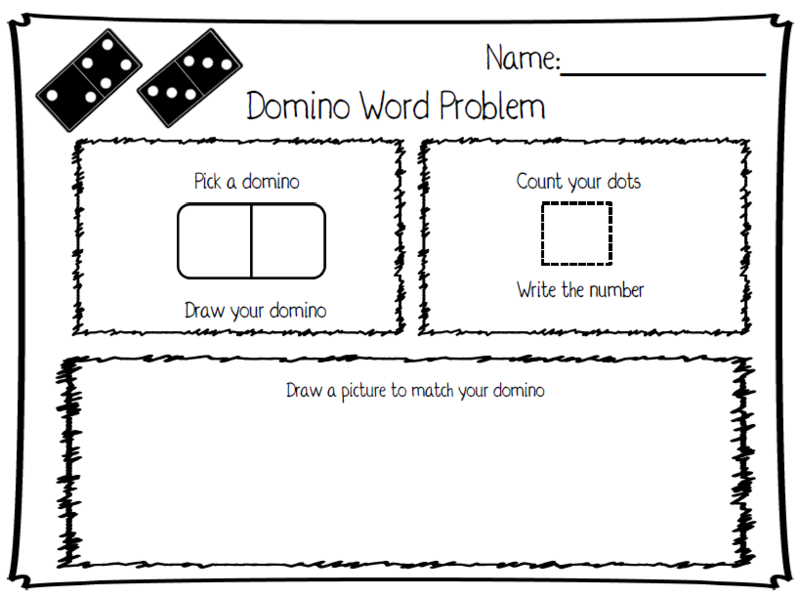 I have included 3 sheets with dominoes to count and three sheets with dominoes to add. 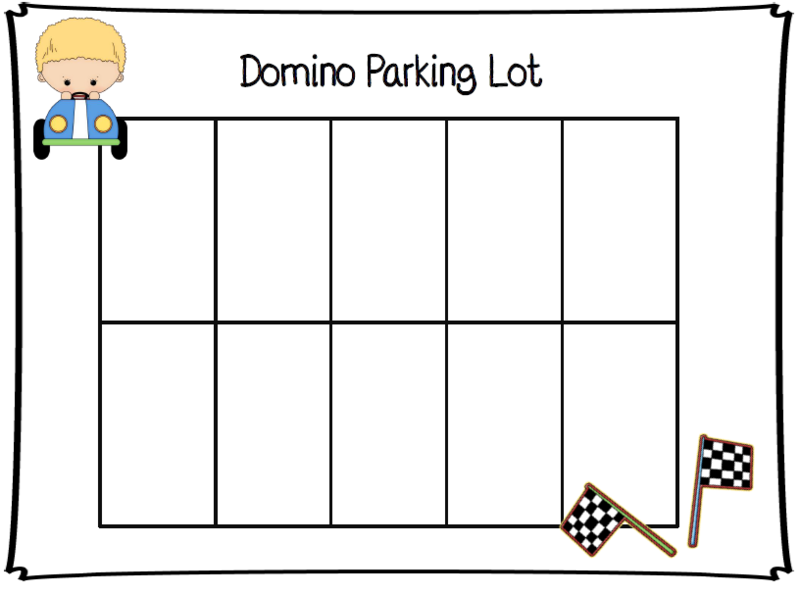 You could use these in a small group when teaching the concept. These could be used as a assessment piece. Do students get the concept? 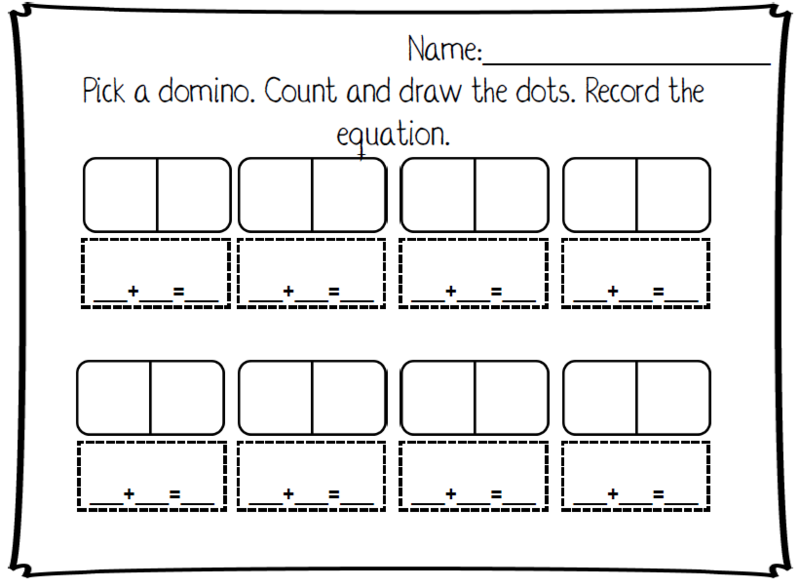 There are two blank sheets for counting and two blank sheets for adding. The difference between the two is one has a name for paper/pencil use and one is for laminating and placing at a center. 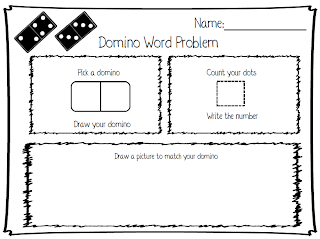 There are two forms for word problems. Talk about think math! 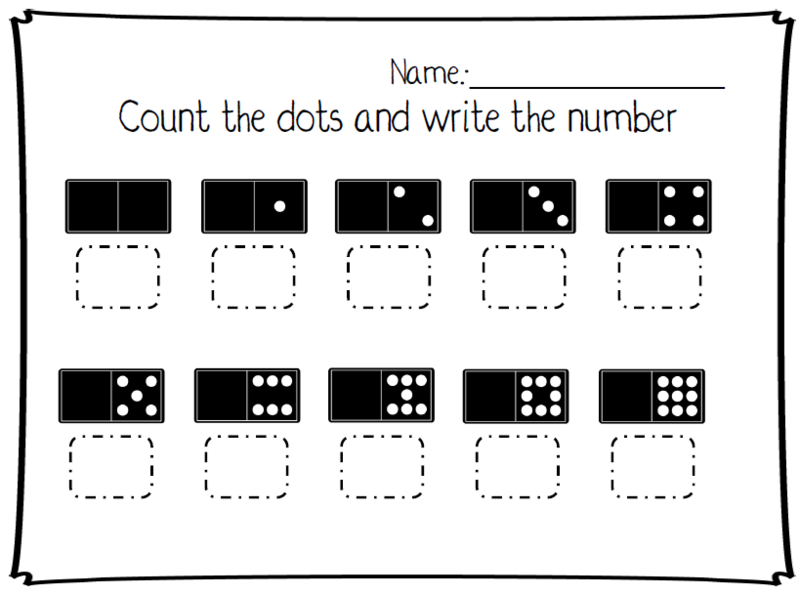 In the beginning, some students may draw 7 dots and draw 7 balloons. Later on, we want them to draw something like three red balloons and four blue balloons. Eventually, we hope they will write, "I see 3 red balloons and 4 blue balloons. There are 7 balloons." 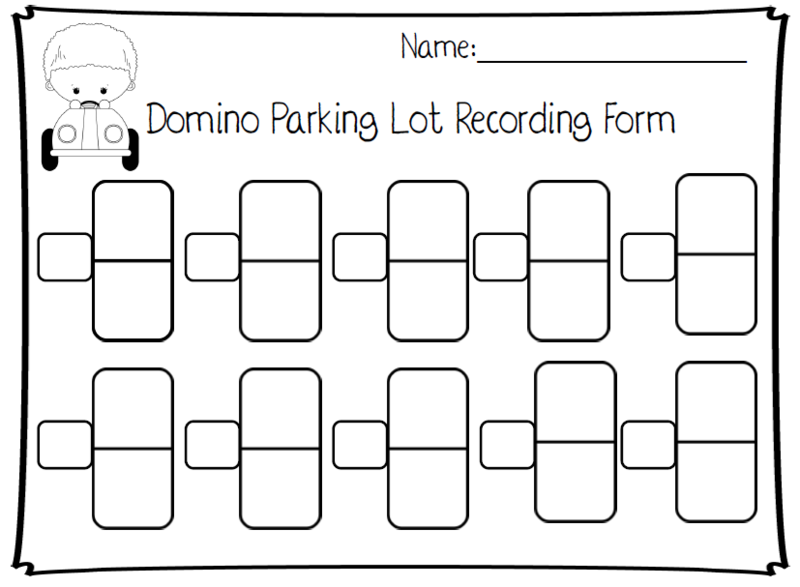 This packets also includes direction for two more games and a set of dominoes. You can get this at my TPT store.